If you are looking to get information about your borehole or well, from formation characteristics to fluid properties, you will need to log it. Logging is the practice of lowering down a set of measurement probes into your well to measure the properties you need. To get the measurement probes in the hole, you will need an electrical logging cable and a winch. To supply power and to read the data from the probes, you will need a surface electronic unit, like the Geovista ‘logger’. All this information can then be processed using software on your PC. Why should I log my boreholes? Getting as much information about your well as possible. Make better decisions. Design your boreholes, re-design your well, identify the reservoir, locate the payzone, develop the well, locate a problem, understand your production, evaluate your mineral, plan your drilling activity. 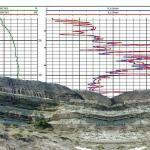 Depth correlate and confirm your surface geophysical surveys. Logging is fast and provides continuous and reliable high quality data. Important part in mineral identification, geotechnical and environmental evaluation. Making better decisions – save costs. Logging tools are also known as logging probes or logging sondes. They sense and provide data in the form of logs. This includes geophysical properties of the formations that have been crossed by the borehole and logs of the properties of the fluid therein. 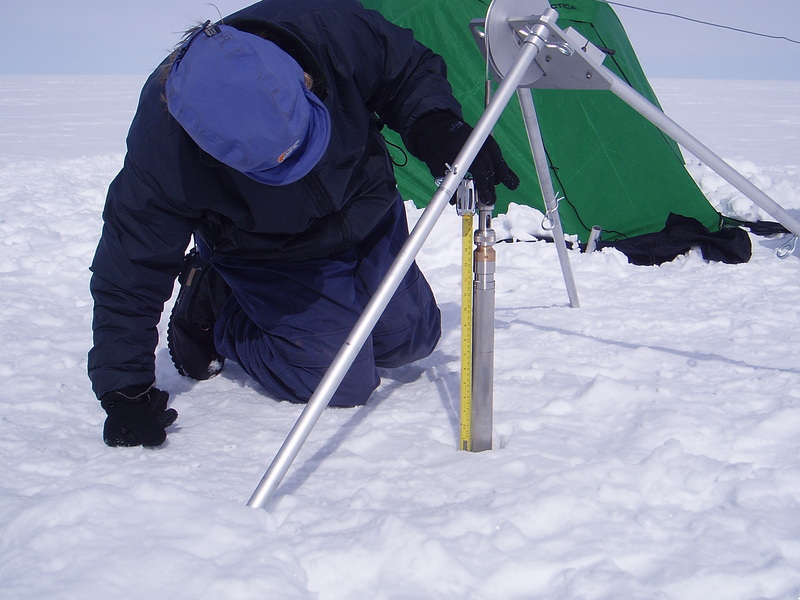 Borehole inclination and trajectory sondes provide information about the trajectory of boreholes. 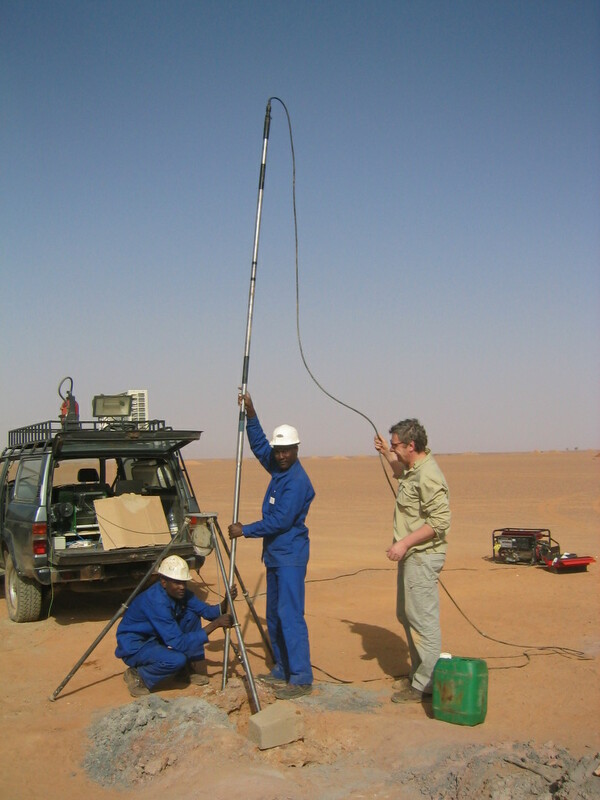 Borehole trajectory inside casing or drill pipe can be logged using a sonde with a gyroscope. Imaging sondes provide oriented acoustic or optical images of the borehole walls, allowing for the creation of virtual cores. The downhole camera sonde records videos for the purpose of borehole inspections, problem diagnosis and problem solving. The Down the hole geophone sonde is used to record at different depths, seismic energy wave trains originating from a source at the surface. 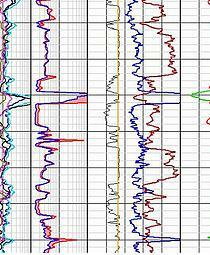 This allows for the build up of a “vertical seismic profile” also simply known as VSP. The micro-seismic sonde includes both the transmitter and the receivers and it allows for the recording of P & S sesimic energy wave trains inside the borehole., without the need for a mechanical coupling with the borehole wall. This is used to convey the logging tools up and down the boreholes. 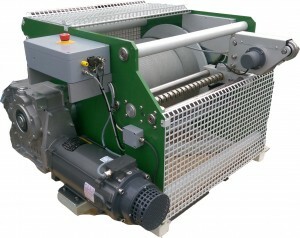 Logging winches come in different sizes in terms of motor power and cable capacity. This is determined according to the expected maximum borehole depths and also according to whether the end user intends to run video on the logging cable. Geovista logging winches are designed to include features that enhance the convenience and the safety of the logging operation. Typically, the winches include a level-wind system, a cable tension device, a motor torque limiter, a local and wireless remote controller, suitably located emergency stop buttons and in large winches, a breaking system in case of unexpected power failure. This is required to supply power and communicate with the sondes and the data acquisition PC which is usually a laptop that is used for data display and storage. The logger is supplied with log data acquisition software. 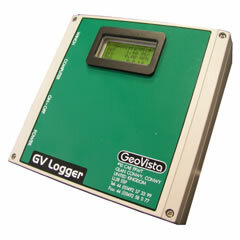 The Geovista logger is a compact unit that is extremely easy to use. One simply switches it on. Apart from our own Geovista borehole logging equipment, we can supply as an additional service to our clients, a range of instruments and software for water and mineral exploration, geotechnical investigation, drilling and environmental monitoring.